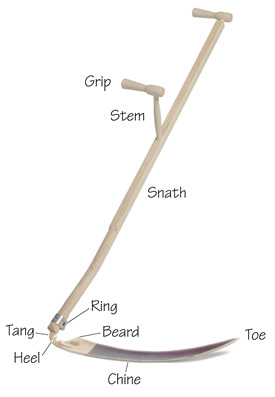 About the creator of Scythe Supply. 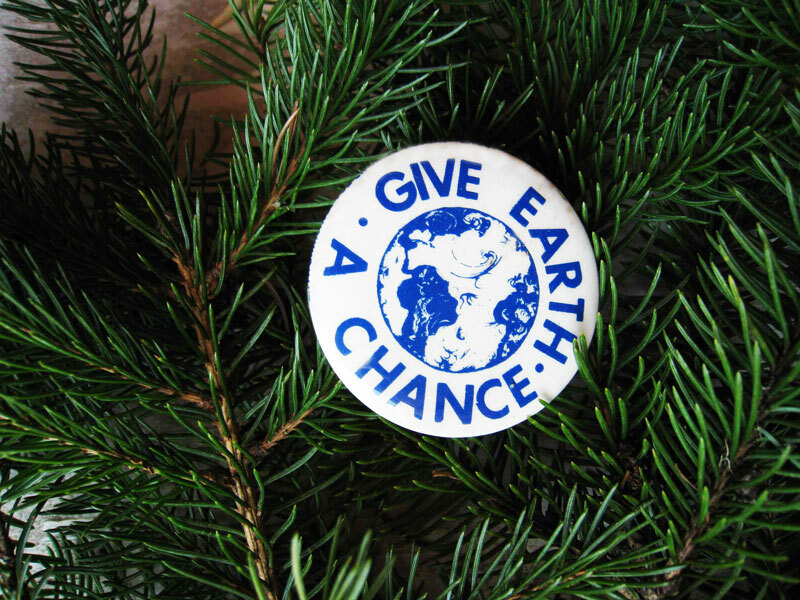 Earth Day / Birth Day Special: One free bandana for every order! Scythe Supply featured in Down East magazine: We were honored to be featured in the famous Down East Magazine in October, 2018. 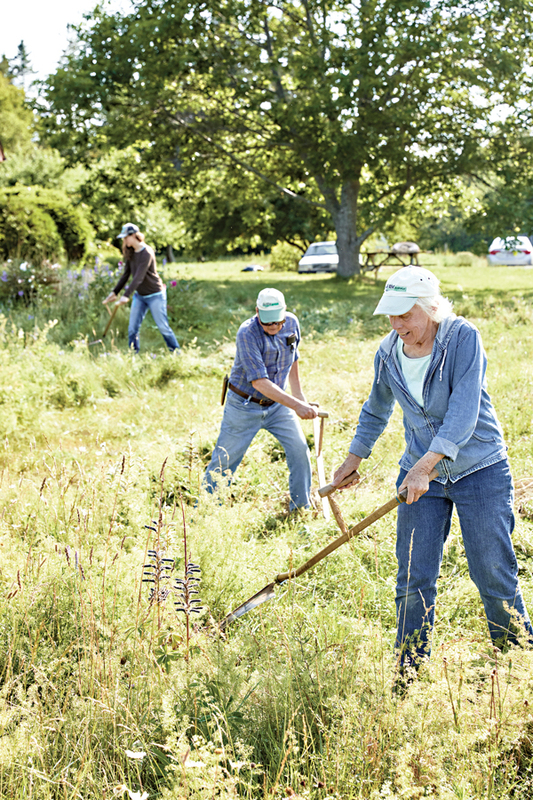 Written by Joyce Kryszak with photos by Michael D. Wilson, the article provides a bit of the story of Scythe Supply and includes an interview with our very own Carol Bryan. 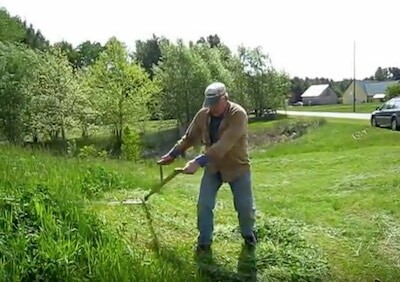 Mowing on a Hill: A video of mowing on a hillside using the European style scythe. 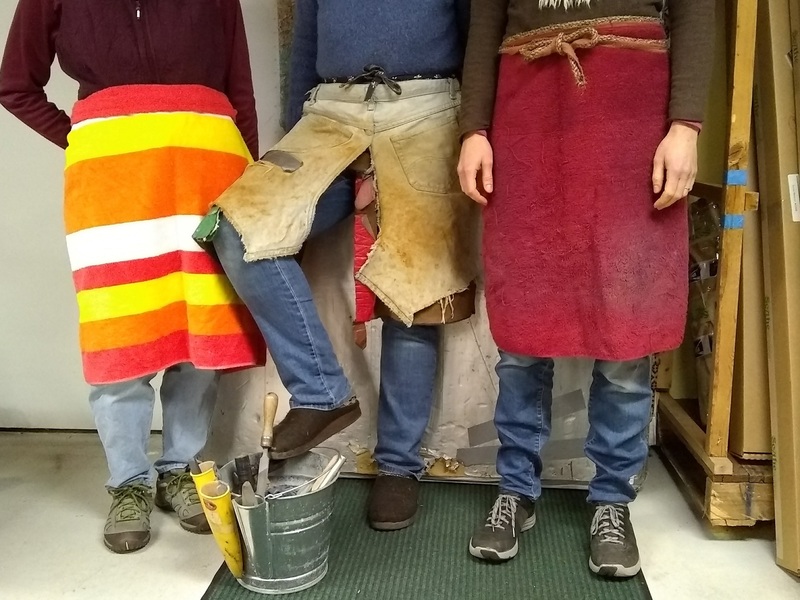 Making a Sharpening Apron: When you're peening and sharpening, a work apron is like gloves for your thighs. 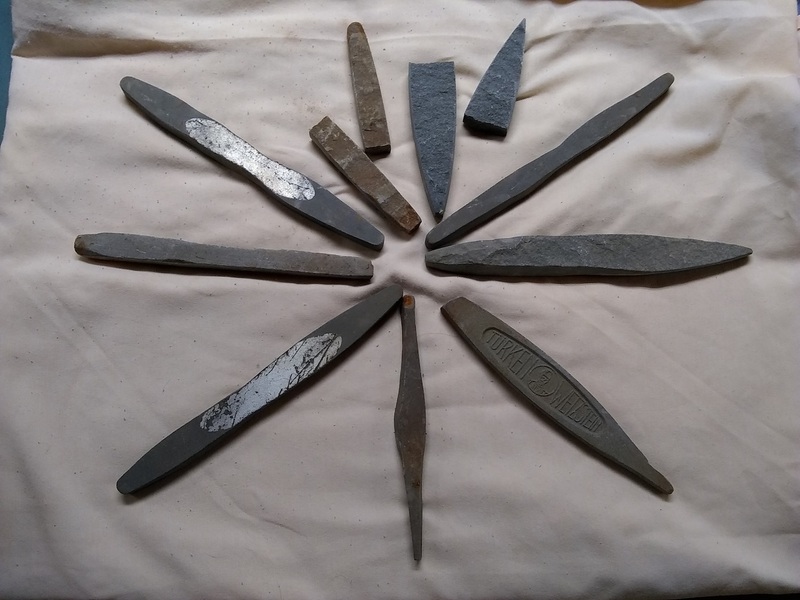 Tired whetstones: After years of use whetstones adopt unique character. 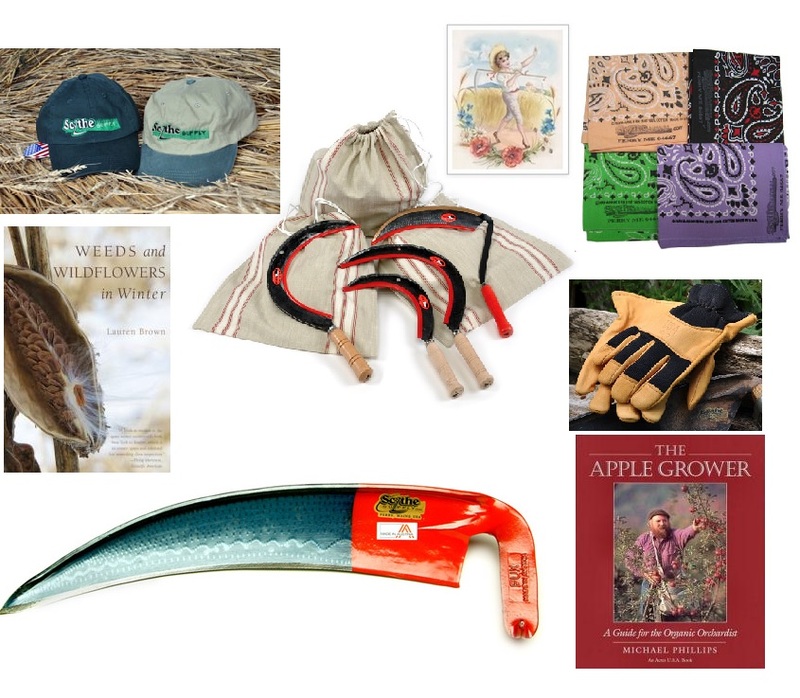 Scythe Supply Gift Guide: A quick guide of gift ideas for the mowing enthusiast in your life. Twelve Kinds of Ice. 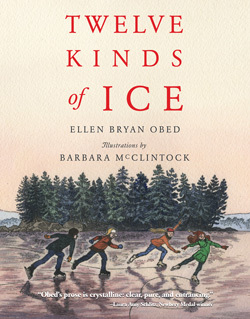 The eager anticipation of waiting for ice, followed by the joy of having the perfect skating rink in the backyard, unfolds in this delightful book by Maine author Ellen Bryan Obed.On Sale for $13! 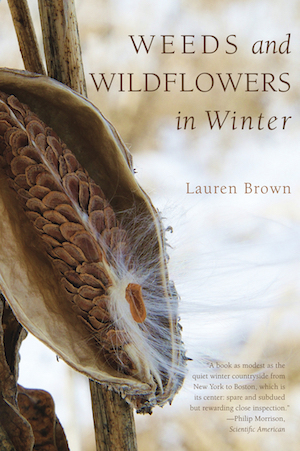 Weeds and Wildflowers in Winter is a fun and informative winter read. You will be ready this Spring to identify the vegetation as it comes alive in your back yard and fields. With helpful illustrations and in a well organized format, this book presents 135 common species in the Northeastern US. A Conversation: God and St. Francis have a talk about lawns. 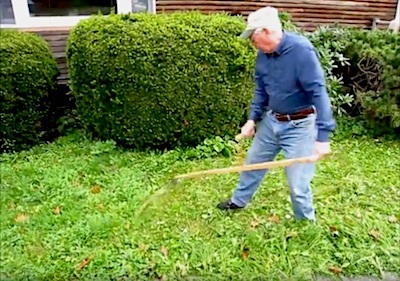 A Bush Scythe in Your Woodlot? 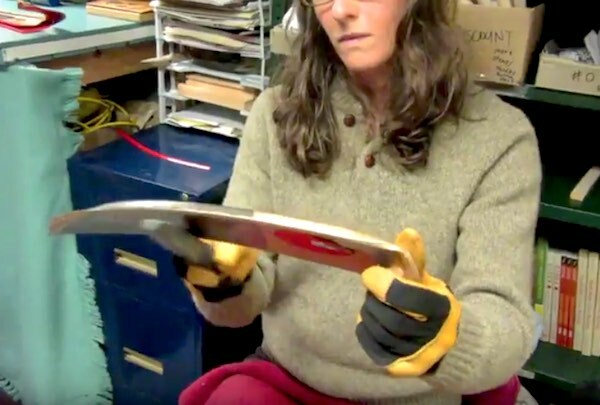 Blade Repair: An introduction to our blade repair service and example of a successful repair. Maine made Snaths are custom fitted to your measurements, are innovative in design and made by us here in Perry, Maine.